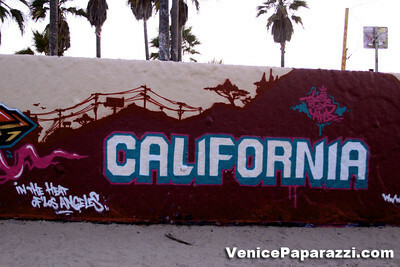 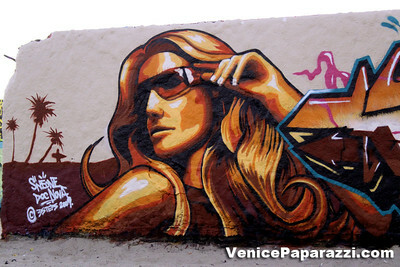 Venice Paparazzi has been selected as the official photo agency of the Venice Art Walls. 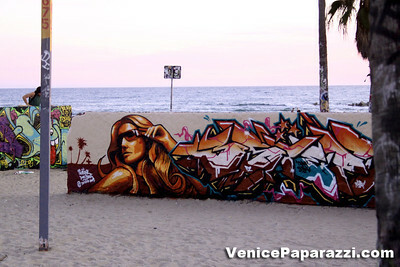 The partnership between ICU Art and Venice Paparazzi has been extended through June 1, 2008. 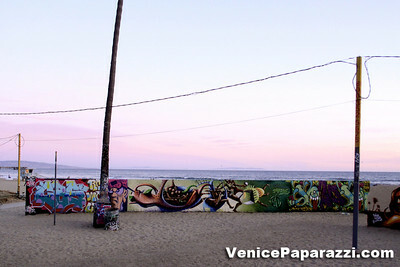 Edizen Stowell of Venice Paparazzi and her team of event photographers will be documenting the work on the walls on Sunday afternoons or early Monday morning. 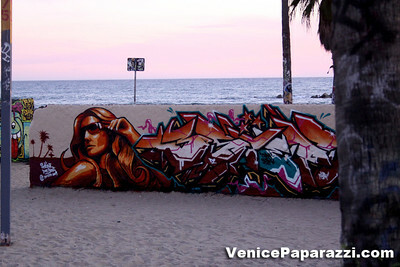 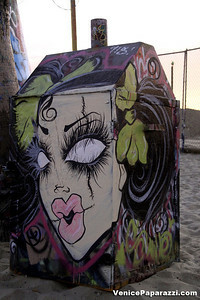 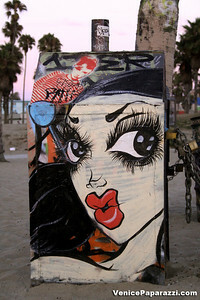 Select pieces will be uploaded to the Venice Art Walls site and may be uploaded to t http://www.venicepaparazzi.com site as well. 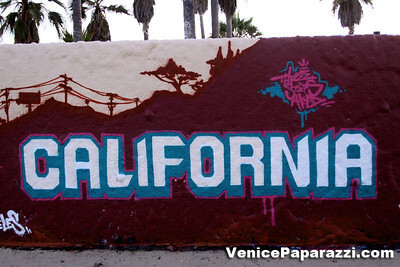 This is an important project, as it will help us to document and highlight some of the high-quality artwork that occurs on the walls as part of the current permit program. 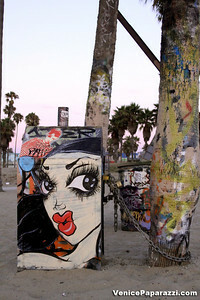 This will also help us to determine which pieces are being painted mid-week without a permit, so that we can address this problem from an informed viewpoint. 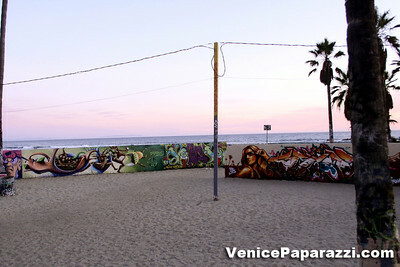 Directions: The Venice Public Art Walls are located on the sand in the heart of Venice Beach, west of the bike path between Windward Street to the south and Market Street to the north. 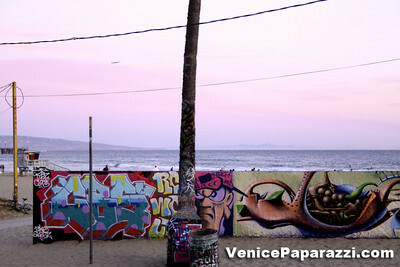 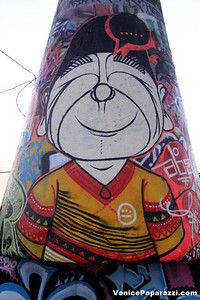 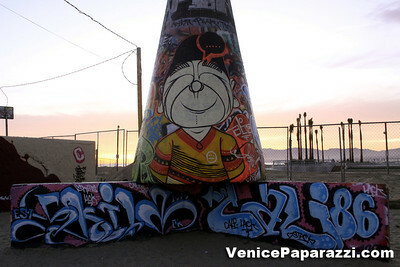 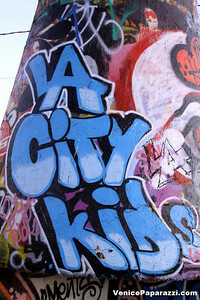 The walls are located about a quarter mile north of where Venice Boulevard meets the beach. 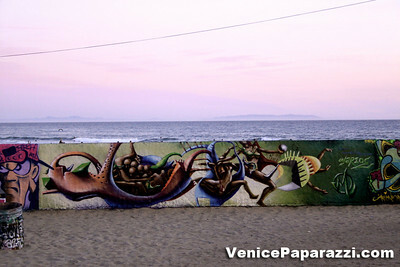 The Bike Path that runs along the beach will drop you off directly at the Venice Art Walls coming from Santa Monica or from Marina Del Rey. 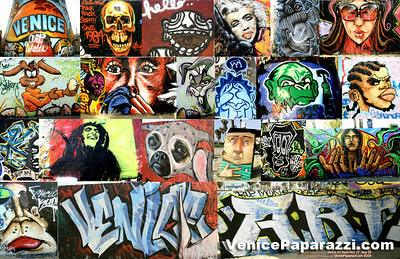 ICU Art - In Creative Unity: ICU Art is a Venice based art organization that has been curating the Venice Art Walls since the year 2000. 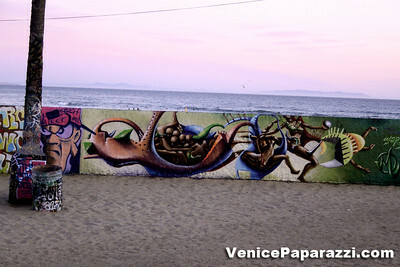 ICU Art is a protector of the walls and helped to save the walls from destruction in 1999 when the Venice Pavilion structure was torn down as part of the Oceanfront Walk refurbishment. 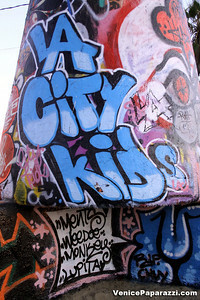 As an advocate for graffiti artist and public art in general, ICU Art has developed a broad-based network of artists and support personnel to work on issues and projects related to various forms of public art.